it will only take 10minutes to talk to a representative. explain to you all the benefits of the machine and ways to set it up on your home, office or facility. as stated above. nothing really technical to operate the machine. just sit and relax. let your machine destroy all harmful mold, bacteria in your surrounding. Molds (also spelled “moulds”) are simple, microscopic organisms that can grow virtually anywhere, both inside buildings and outdoors. 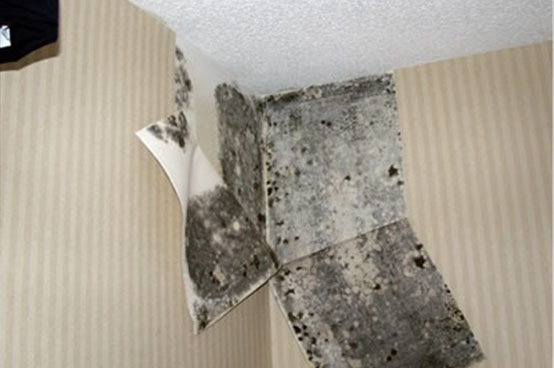 Mold colonies can grow inside damp or wet building structures. And mold spores are a common component of household and workplace dust. Health effects from exposure to mold can vary greatly depending on the person and the amount and type of mold present. 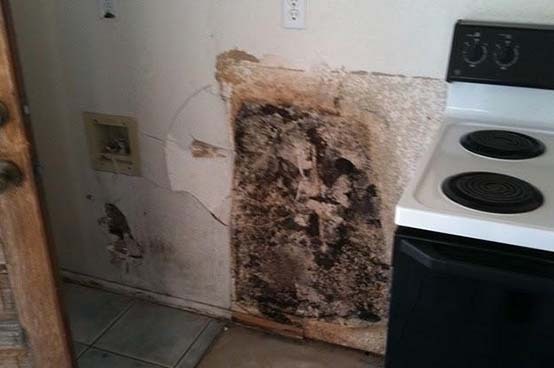 Regardless of the type of mold, it should be treated as health hazard and should be destroyed from homes and workplaces. There are basically three types of molds to discuss here. 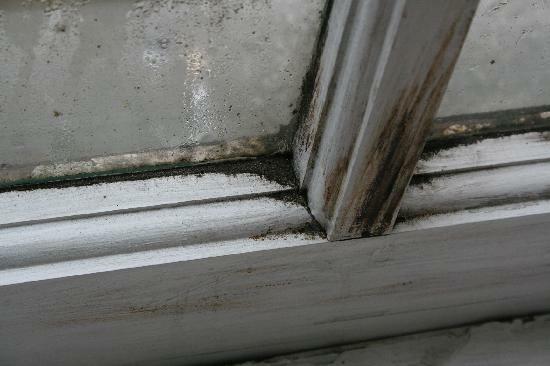 Mold is allergenic, pathogenic, or toxigenic. 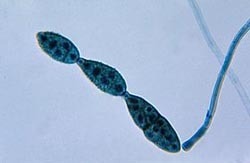 Alternaria looks similar to Ulocladium under a microscope. It can appear black or grey on surfaces. It is classified as a Hazard Class B mold, and has been known to cause various allergic reactions. It can grow on walls, dusty areas, around windows, damp areas, in soil, on plants, and in various other places. An important side note is that sometimes what you’re looking at is actually efflorescence rather than mold. This is a deposit of white salts, especially on concrete, where water has penetrated and left a salt deposit on the surface. It can be difficult to tell. 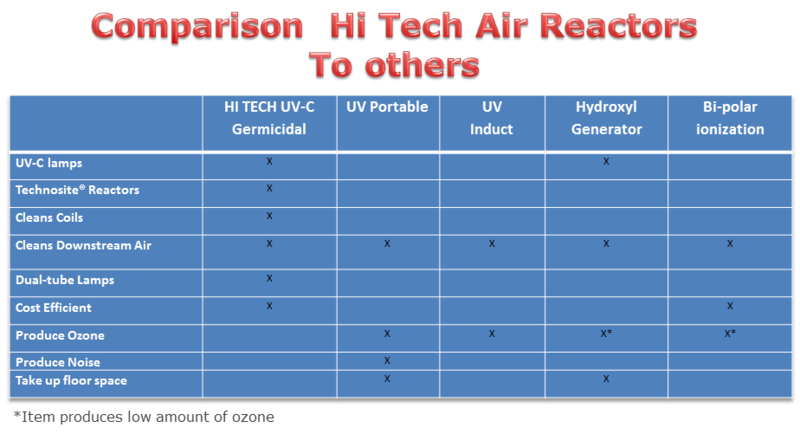 The mold types in this group are either directly hazardous to health due to risk of infection or creation of toxins. They should not be in homes or workplaces and should be removed right away if found. 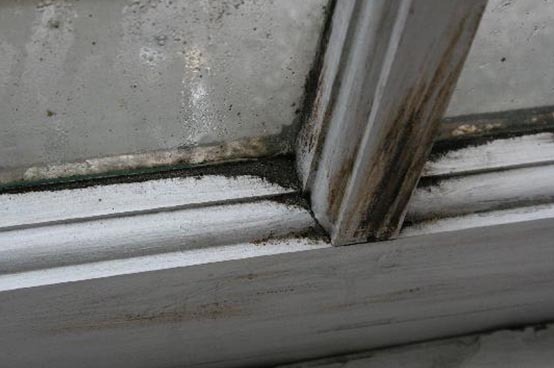 The mold types in this group can cause allergic reactions, especially over longer periods of time. The mold types in this group aren’t known to cause any health risks or reactions in humans. Note, however, that even molds in this category can potentially cause structural damage to things that they are growing on, and should still be gotten rid of. 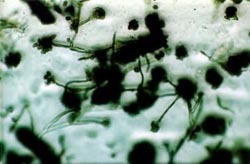 Aspergillus is another common mold. It can look grey, brown, yellow, green, white, or black. There are many species in the genus, and they generally fall into Hazard Classes A or B. Some can cause infection in people with weak immune systems, and some of them can make toxins in certain circumstances. Others will only cause allergic reactions. 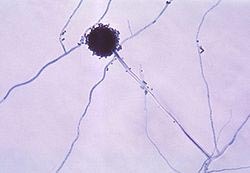 Aspergillus can grow on walls, insulation, paper products, soil, clothing, and many other places. 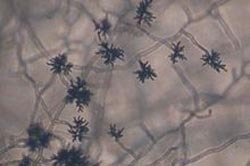 Cladosporium is a very common mould. It can appear green, brown, grey or black on surfaces. 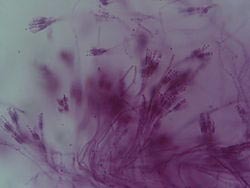 It is classified as either Hazard Class B or C, depending on the species – i.e., allergic reactions are generally the only concern with Cladosporium. It can grow in many places, including walls, wood, dust, and insulation. Penicillium is a name that often strikes people as familiar, and that is because modern antibiotics were discovered thanks to a species of Penicillium long ago. However, that doesn’t mean that the genus can’t be hazardous. It can look blue, green, or white, and its species are generally classified as Hazard B or C.
It can be found on foods, such as cheese and fruit, or in the walls, the insulation, and other places. 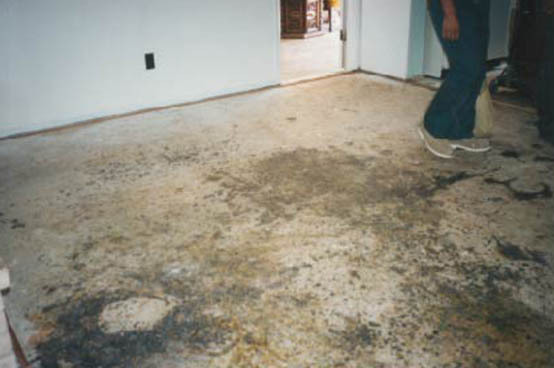 Stachybotrys is the infamous black mold that made the news in association with ill health effects many years ago. 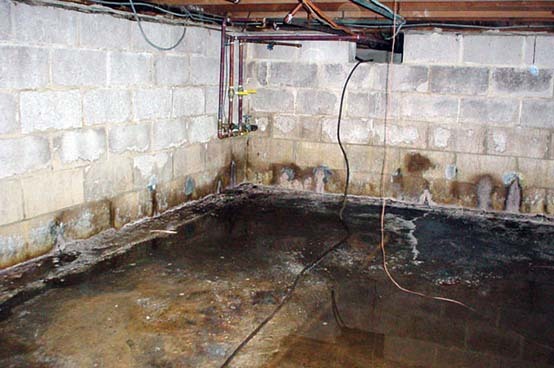 It needs a very damp area to grow, and is considered a Stachybotrys is the infamous black mold that made the news in association with ill health effects many years ago. 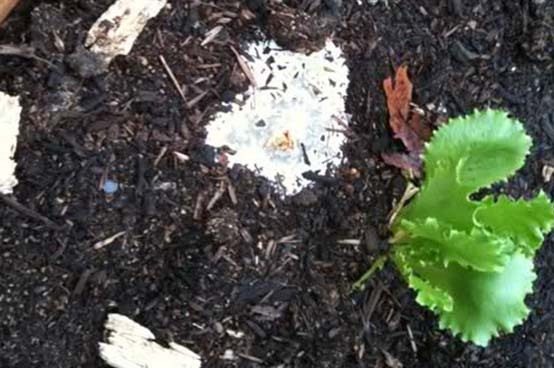 It needs a very damp area to grow, and is considered a Hazard Class A mold, as it can create toxins. 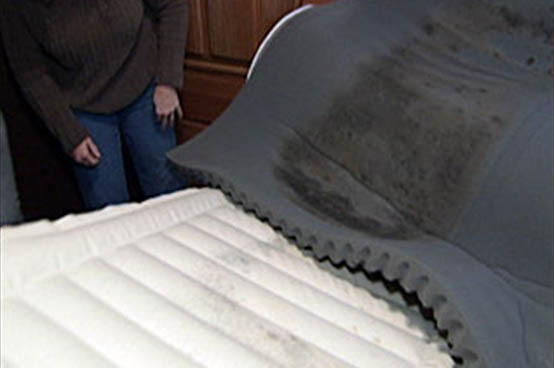 It looks black on surfaces.Hazard Class A mold, as it can create toxins. It looks black on surfaces.